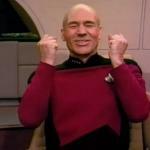 Captain Picard happy idiot out of gene pool! Yes! 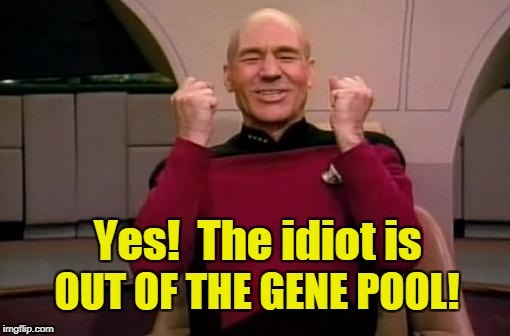 The idiot is; OUT OF THE GENE POOL!